One of the less exciting (but still important) announcements at Google I/O 2014 was that Google will be adopting part of Samsung KNOX as a security platform in Android itself. KNOX, which is currently only on Samsung devices, is a business-oriented security solution that keeps work and personal data separate and secure on a single device. Sounds pretty good, right? Not to BlackBerry CEO John Chen, but you know what is good enough? You'll never guess – a BlackBerry. Obviously. Chen offers empty platitudes to lay the groundwork for his attack on Google and Samsung, saying how nice it is that Android is finally getting more secure. It's the right direction, Chen says, "but far from enough." The almost patronizing tone of his recent statements seems completely at odds with the true state of the industry right now. Reading these posts, you'd think BlackBerry was still a leading player in smartphones rather than a company struggling to survive. It brings to mind something about throwing stones and glass houses. The argument Chen is making for BlackBerry is essentially that the entire BlackBerry platform is secure end-to-end. Well, unless you're in India, but I digress. Samsung KNOX, he says, is a fortress built "upon an insecure foundation." Burn. He also points out there are tens of millions of secure Blackberrys and only a few million phones with KNOX. While that may be true, there are going to be many more very soon. How much longer can sales in Indonesia and Africa prop the company up as Apple and Google continue to dominate? I want BlackBerry to exist because competition is a good thing, but this kind of banter is not encouraging. Blackberry's time would be better spent improving its platform than complaining about Google muscling in on its turf. 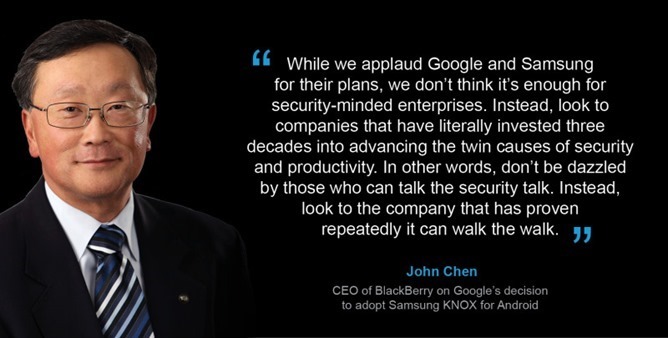 The fact that Blackberry even bothered to take a swing at the KNOX announcement makes the leadership look scared. 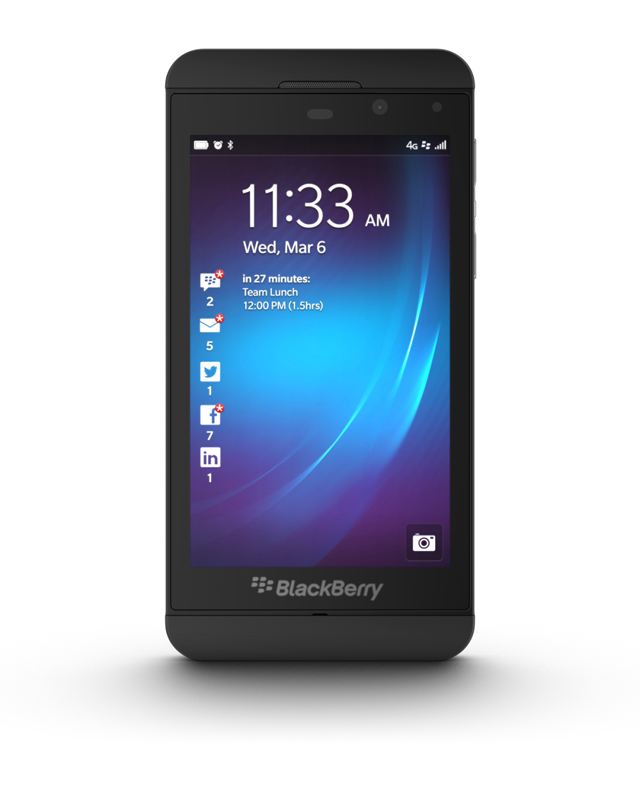 Blackberry got touchscreens wrong, it got apps wrong, and now all it has left is security. That's a nice feature to have, but it's far from enough.